Highland News, April 24, 1862, copied from the Cincinnati Gazette. "It was on Monday, during that terrible contest, that Col. Sullivan, while bravely rallying his Regiment, was wounded and borne from the field, and the brave and much-lamented Capt. Warner, of Co. B, fell with a Minie ball through the head. A better officer and more noble-hearted man, we had not in the Regiment. Lieut. Col. Parker won the entire esteem and confidence of the Regiment, as a man of cool and daring bravery. At all times during the conflict he was ever ready to cheer and rally by his presence, and his sword ever found in the thickest of the fight. In a word, the entire Regiment deserves the highest meed of praise.- To this Gen Sherman has already subsribed by saying, the 48th and 72d Ohio maintained their ground longer than any other Regiment in his division." According to his military record Job R. Parker was a school teacher. His six foot stature must have made him an imposing figure to his students in the small town of New Lexington, Ohio (aka Highland in Highland County). His hand writing, which looks like an oversized but very good copy lesson in cursive writing, also confirms his profession. Col. Parker's photograph illustrates the dark hair and fair skin mentioned in the description in his military record but can not show his blue eyes. In the photograph he is a full colonel so it had to be taken after April 11,1864 when he attained that rank. The scar on is right cheek is from "the bursting of a shell while he was leading the charge on the enemy's fortifications [at Vicksburg] on the 22nd of May . The shell burst near his head producing a severe concussion, besides bruising & lacerating his face. "* Under his coat sleeve on his left arm should be another scar from a wound received at Arkansas Post, January 11, 1863, as the 48th moved on the works of that fort. Col. Parker first enlisted September 18, 1861 in New Lexington, Highland County, Ohio and was instrumental in recruiting many of the Highland County soldiers in the 48th, especially those in Company A. He was, at first, captain of Company A (Sept. 18, 1861), then on January 23, 1862 he was made Lieutenant Colonel of the Regiment. When Col. Sullivan was wounded at Shiloh April 7, 1864, the command of the regiment passed to Lieut. Col. Parker who led the 48th at Chickasaw Bluff, Arkansas Post, and through much of the Siege of Vicksburg. This first period of command, during which the absent Col. Sullivan was still technically the Colonel of the 48th, lasted from April 7, 1862 to June 22, 1963 with some absences to recover from his wounds. 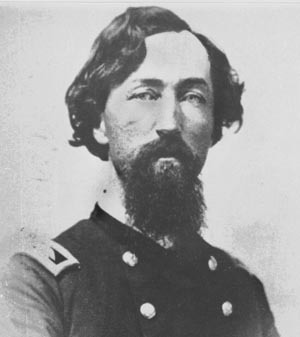 In the summer of 1863 when he was at home on a 20 day medical leave recovering from the wounds he received at Vicksburg and while he was still suffering dysentery, a common affliction in the trenches, Job Parker was to begin a series of difficulties with the Army bureaucracy that justify his given name. Col. Sullivan, who had recovered from his Shiloh wound, returned and assumed command between the dates of June 22nd and August 9th, after which Sullivan resigned. During this period there was great confusion among General Grant's staff as to Parker's status. Apparently General Grant accepted a resignation Lieut. Col. Parker never offered (S.O.#146) and he was "mustered out June 20th, 1863, he having preformed no duty with his regiment since that date, and having failed to file the necessary Certificates of Disability, as requested by existing orders and regulations (Sec. of War Towsend S.O.#575)." A little later this blow to Lieut. 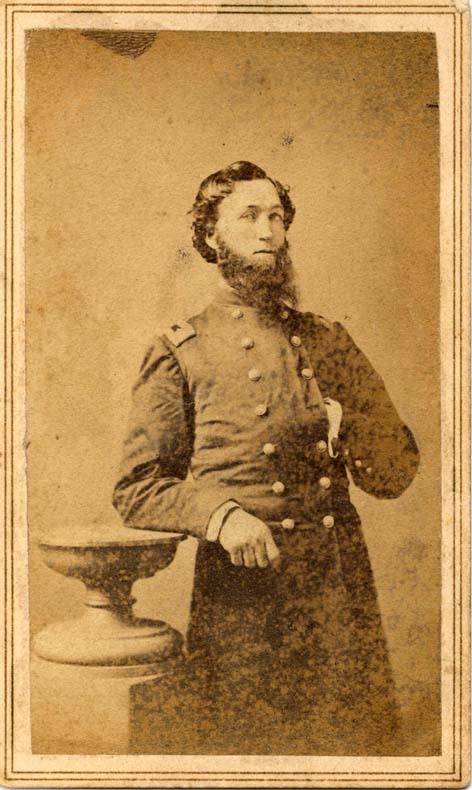 Col. Parker's career was softened somewhat, and he was honorably discharged to be dated August 19, 1863. Capt. Lindsey was promoted to Lieutenant Colonel and given command of the regiment. Lieut. Col. Parker declared that he had not resigned and finally convinced Grant's staff of this. He returned and for a short time and commanded the Brigade only to be greeted with the charge that he was "absent without official leave S.O.#246)"! During this dark period in his life the wounded veteran was denied his pay which must have worked an additional hardship on his wife and two young daughters as the frustrated former teacher struggled to prove to the Army that he had not resigned, was absent on medical leave, and that he had all papers in order to prove it. After much bureaucratic haggling, including a trip to Washington, D. C. and an appearance before a military commission established by S. O. 200, the error was recognized by commission the and Leuit. Col. Parker was promoted to full colonel April 11,1864 and assigned to command of the 2nd Brigade, 4th Div., 13 A.C. April 19,1864. (S.O.#81). The bar to his receiving pay was ended by the commission on January 9, 1864 but he was not to receive pay for 45 days of his tribulations when his status was in doubt. By this time the 48th had embarked on campaign in Western Louisiana, October 1st and had been captured at the battle of Sabine Crossroads, April 8th, and were in Camp Ford, a Confederate prison. Would the 48th have avoided capture under their former commander's experienced leadership? We will never know. The Regimental history states "Col. Parker, who had rejoined the army at Grand Ecore, shortly after the capture of the Regiment, was put in command of the remnant of the brigade during the retreat down Red river. They were finally sent to New Orleans, where the Colonel, in the latter part of July, obtained furloughs for the veterans of the Regiment who had escaped capture, and those who had rejoined from sick-leave and detached duty, and took them home. Before leaving, they procured quite a gay uniform, in which they made a handsome appearance. Upon arriving at Cincinnati they were paraded through the streets to the Fifth Street Barracks, where they were quartered." "Col. Parker and the uncaptured members of the 48th were reunited with the Camp Ford prisoners of the regiment November 3rd. He was in command again until his muster out date of January 17, 1875 at Natchiz, Miss." At this time he was suffering from the "lung fever" an affliction that would soon cause his death. After his return to New Lexington, Highland County Ohio "Company E, which had been the color company during the entire service, delivered the flag of the Regiment to Col. Parker, who brought it home and retained possession of it until his death, which took place December 5, 1865. Mrs. Parker, upon the request of the members of Company A, delivered the flag to E. T. Rayburn, of New Lexington, Highland county, Ohio, where it still remains." The presentation of the flag to Col. Parker by his men shows an appreciation of his leadership that the Army bureaucracy apparently lacked. Col. Parker was the Commander through about 25% of the regiments history about the same amount of time Col. Sullivan was in command. He led them through all their major engagements including some of the last day of Shiloh, Chickasaw Bluff, Arkansas Post, and most of the Siege of Vicksburg. He shifted the regiment from garrison duty in Memphis into Sherman's expedition to Vicksburg by requesting that the Regiment be included in the offensive, and on at least one other occasion he succeeded in having them transferred them from guard duty into an active combat force. The character of the 48th Ohio during much of its existence was greatly effected by Col. Parker. Amanda B. Parker, Job's widow married Walter P. Pugsley (47), widower and farmer, January 12, 1870. She was also known as Mrs. Blanch L[ang]. Parker in the Marriage return and as Blanche L. Pugsley in the U. S. Census. The Pugsleys lived on a farm in Brushcreek Township, Highland County. Born in Hopetown, Springfield Township, Ross County, Ohio, ca. 1831. December 5, 1865, Col. Parker died, at home Highland, in Highland County "of Lung disease caused by Exposure in the late War." (Date and medical information from Col. Parker's pension record in the National Archives). "Wills, Administrations, Guardianships and Adoptions of Highland County, Ohio (1805-1880)", Jan. 8, 1866. A. B. Parker, widow of Job R. Parker, dec'd., declined to administer his estate and the court appointed Thomas S. Lang Administrator. Sureties: Louisa C. and C.J Lang. Appraisers: Uriah Horseman, F.M. Posegate, Henry Rayburn. Capt. F. M. Posegate had served under Parker in the 48th Ohio as had E. T. Rayburn, possibly a brother of Henry Rayburn. From "History of Ross and Highland Counties, Ohio", page 294. (indexed under Packer & Parker) Mount Zion's Church organized 1841 in Union Township, Ross County. Among those who joined at the organization, or shortly afterward: Job Packer and wife. This may be Parker's father and mother. The information above was obtained from Col. Parker's military record, Col. Parker's pension record, Col. Parker's military record, the regimental history, Highland County marriage records, legal records dealing with Col. Parker's estate and U. S. Census information and the "History of Ross and Highland Counties, Ohio". P. A. Willis, Surgeon of the 48th O.V.I., and Wm. Watt, Assistant Surgeon of the 48th O.V.I. who actually treated him on the battlefield stated "the bursting of a shell while he was leading the charge on the enemy's fortifications [at Vicksburg] on the 22nd of May . The shell burst near his head producing a severe concussion, besides bruising & lacerating his face." Col. W. J. Landrain, Col. Comdg. Brig., in a casualty report states that Col. Parker was "Wounded, -slightly on face." L. L. Stanton, Surg. U. S. N. and Superintendent of Hospitals in Columbus Ohio stated he was "suffering from gunshot wounds through his face received at the battle of Vicksburg, and in consequence there of he is unfit for duty and unable to report to his Regiment without danger of permanent disability." The Regimental history reports "Lieut. Col. Parker, wounded in the face with rifle-ball"
It seems appropriate to take the evaluations of surgeons over those of brigade commanders when it comes to assessing wounds and to take the evaluations of the field surgeons over the surgeon who examined him later when considering how the trauma was received by a patient. 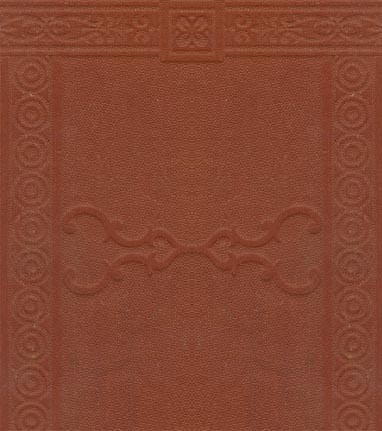 p. 631 - THE COUNTY OF ROSS. Benjamin F. Parker is a native of Ross county, born at Hopetown, August 12, 1839. His parents were Job R. and Eleanor (Longan) Parker, both Pennsylvanians, the former born March 22, 1793, and the latter on December 29, 1800. The father learned the cabinet-maker's trade, at which he worked until his removal to Ross county. His marriage took place March 14, 1822, and he came to Ohio in the same year, accompanied by a colony of Pennsylvanians, numbering some ten or twelve families. Soon after his arrival he rented a farm, and with the exception of a few years spent at Chillicothe as proprietor of a huckster wagon, he devoted his whole life to the business of farming. He served as constable and member of the school board in Springfield township. His death took place on February 10, 1852, while he was living on the Judge James McClintick farm, his wife surviving him until August 8, 1886. They had a family of twelve children. Of these, Joseph, Nancy, Samuel, James, Job R., Charles D., William and Isaac N. are dead, the last mentioned being killed at the battle of Monocacy. There were two sets of twins ; John L. and Joseph being the first, and the others Benjamin F. and Isaac W. Thomas S. resides in Chillicothe, and Mary Jane is the widow of William H. Abernathy, of the same city. Benjamin F. Parker, who was one of the last pair of twins, remained at home helping on the farm until the outbreak of the civil war. April 19, 1861, he enlisted in the company of Capt. George W. Fisk, but the call being full this command was not accepted but continued in camp drilling. July 27, 1861, Mr. Parker enlisted in Company A, Eighteenth Ohio regiment, under Capt. H. R. Miller. During the occupation of Bowling Green, Ky., Mr. Parker was in the hospital with measles, and while on his way after that to join his regiment, he was captured at Pulaski, Tenn. This occurred May 1, 1862, and he was held prisoner for nine months, being exchanged February 4, 1863. He rejoined his company at once and with it took part in the Tullahoma campaign, the battles of Chickamauga, Missionary Ridge, Lookout Mountain, Nashville, Decatur and other engagements. Later the command (vas sent to Chattanooga, from there to Augusta, Ga., and was mustered out at that place October 9, 1865. The military record of the Parker family is unusually creditable. Including Benjamin, eight of the sons of Job R. Parker served as Union soldiers during the civil war. Isaac N. was killed, as previously stated, and Job died from the effects of wounds. Benjamin F. refused several offers of promotion, preferring to serve in the ranks. Immediately after his discharge he came directly to Chillicothe, where he lived until March 17, 1867. At that time he was married to Eliza Abernathy, after which he removed to a rented farm in Union township, where he lived until he bought the place where he now resides. e and his wife became the parents of twelve children. Of these, Anna, Elmer, William F. and Arthur Earl are dead. Olive L. is the wife of Charles Hibbler, of Fayette county; Mary F. resides in Chillicothe, Thomas J. in Bainbridge, and Job R. in Lancaster ; Nellie is the wife of Arthur D. Shafer, of Bourneville ; David X. is at Washington C. H., and Boyd and Joseph T. are at home. Mr. Parker, since he has settled own in life, has been a general farmer and stock-raiser. He has served as constable of his township for several terms and has been a member of the school board. His polities are Republican and since 1853 he has been a member of the Methodist Episcopal church.